Growing up deeply involved in her parents’ business naturally led MaiVue to be a business lawyer. She represents small and large businesses on transactional and contractual matters including business formations, business purchases and sales, mergers and acquisitions, corporate governance, real estate, landlord/tenant law, and trademark/copyright law. She also represents banking and financial institutions in structuring and negotiating complex financing deals as well as complying with state and federal laws. MaiVue received her undergraduate degree from the University of Wisconsin-Madison and her law degree from the University of Wisconsin Law School. 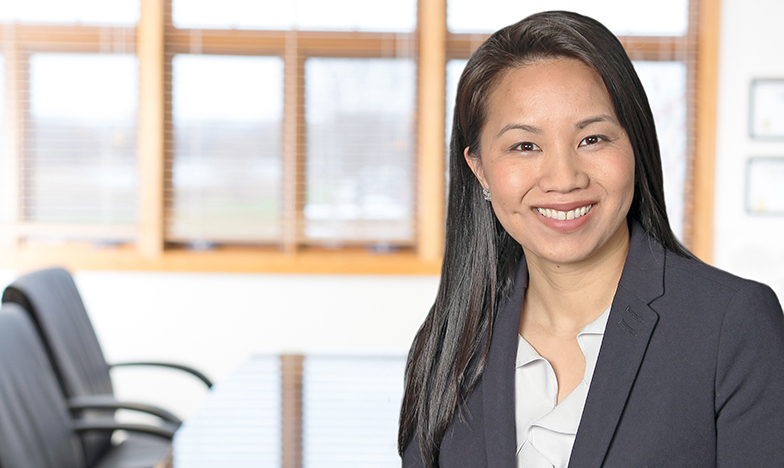 MaiVue is a member of the American Bar Association, the Wisconsin Asian Bar Association, the Eau Claire County Bar Association, the Young Professionals of the Chippewa Valley, and is a graduate of the Leadership Menomonie 2011 class. She currently serves as a board member on the Eau Claire Area Chamber of Commerce and the Wisconsin State Bar Business Law Section. Upon returning home to Eau Claire, MaiVue continues to be involved in every aspect of her parents’ business as well as help run her husband’s business. MaiVue is passionate about her clients’ business success and uses both her personal experiences and legal expertise to navigate her clients toward their business goals. As a first generation student, MaiVue is also passionate about exposing youth to higher education and mentorship opportunities and is a frequent speaker on these topics at events throughout the State of Wisconsin. Outside of practicing law, MaiVue enjoys early morning boot camp classes and spending time with her husband and children.